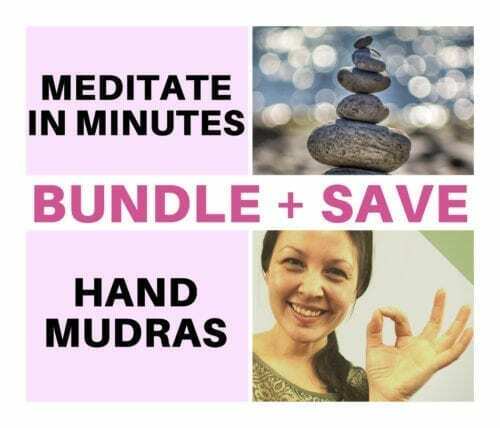 This Learn to Meditate & Energy Healing with Hand Mudras Course Bundle will guide you into that calm, centered state of meditation quickly and easily! What’s more, you’ll learn how to guide your family, friends or clients in meditations, too! Learn what meditation is and what Hand Mudras are plus their step-by-step processes! 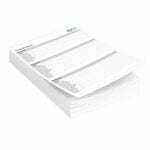 Learn easily with detailed handbooks, video tutorials, and more! Scroll down ↓ to read everything this wonderful online course includes! A lovely Meditation Guide Certification of Completion (PDF) upon completion! Plus video tutorials, posters, charts and much more for both courses! Read my Meditation course reviews here! 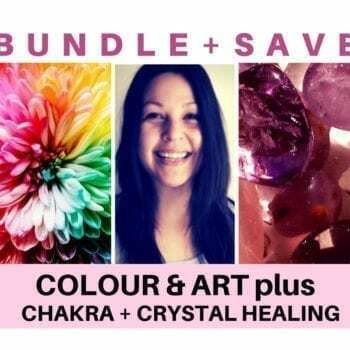 This course bundle simply allows you to enroll in both of my courses quickly and easily – and at a discounted rate! And for many, these are more than just a courses, they’re the beginning of a whole new way of life – one focused on love and kindness! With this particular course bundle, you will start off with my Learn to Meditate course – where we’ll go through all the basics and essentials, right through to how to guide others! Watch the short video below to learn what to expect from my Learn to Meditate in Minutes course, then scroll down to learn more about this bundle’s inclusions! Watch the Learn to Meditate course video! Once you’ve completed the Learn to Meditate in Minutes course, then it’s time for you to take your mindfulness and meditation to a whole new level with my Energy Healing with Hand Mudras Course! Watch the video below to get a glimpse into what awaits you next! Watch the Hand Mudras course video! I was a little sceptical when I started this course. When I began practicing the gestures, I was floored by the level of healing energy these hand mudras created. I literally awakened to another new world of energy healing. The course was so easy to follow, practically anyone can do it. A very useful tool to complement the knowledge I received from the Reike Master Course. A wonderful course which teaches you how to meditate in several ways and also teaches you how to lead others. The course includes a selection of wonderful audios with and without guides to help you achieve a wonderful meditative state. Highly Recommended. I loved this course Melissa. Hand gestures and positions have always resonated with me and your course has given me insight into why that is. Your course is beautifully delivered and has great tools for us to draw on. Easy to understand basics of meditation and its physical and mental benefits! 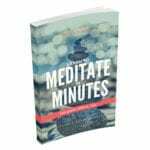 A 35-page Learn To Meditate in Minutes And Guide Others, Too! Handbook (PDF), which includes explanations, step-by-step meditation methods, scripts and more! Five (5) Themed Guided Meditation Audios (MP3) that not only help you learn how to meditate, but can focus in on specific goals too! The themed meditations are: The Relaxer (8-minutes), The Fearful Thought Release (13-minutes), Depression Buster (10-minutes), Manifestation Creator (9-minutes), and the Spiritual Evolver (9-minutes). An additional four (4) further meditation audios to add to your collection – so you’ll never run out of variety to listen to! A Meditation Guide Digital Badge (JPG) to use in your emails or on your socials! Lifetime access to the Online Student Platform – which has links to files and 14 video tutorials (over 1 hour of video) with closed captioning available, and interactive quizzes to further enhance your learning. Self-pacing: take as long as you need, but most students will easily finish within a few days – if not sooner – so have fun and enjoy the journey! A Human Chakra Poster (PDF) provided in A4 size – and you can print it out, too! 5-Minute Stress Relief Meditation Audio (MP3) to help calm your busy mind – to use anytime you need it. 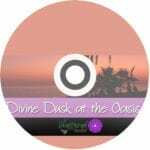 My Divine Dusk Meditation Audio (MP3) to help relax you as you go through this journey! Exclusive discount pricing to Melissa’s one-on-one sessions! Easy to understand basics of Hand Mudras and why they really work! A 34-page Energy Healing Hand Positions – A Short Course in Hand Mudras! Handbook (PDF), which includes foundational information, explanations, and step-by-step Hand Mudra methods, and more! Seven (7) Main Chakra Mudra Posters (JPG + PDF) that you can use as desktop images or print out as posters, in order to help you quickly reference what you’ve learned! An additional (1) Quick Reference Mudra Poster (JPG + PDF) which quickly shows you the additional Hand Mudras I personally use! A beautiful Energy Healing with Hand Mudras Certificate of Completion (PDF) to display in your home or office! A Digital Seal of Completion (JPG) for your website or emails! A Hand Mudras Diary Page (PDF) so you can record your experiences with each Hand Mudra for future reference. 7 x 1-minute Chakra Hand Mudra Audios (MP3) which make learning the hand positions so much easier! An additional 7 x 1-minute Hand Mudra Audios (MP3) of the gestures I personally use! Restful Sleep Meditation (MP3) to gain the rejuvenation and regeneration you require as a healer. You will log in to the Student Platform and start at the first lecture and work your way through the Learn to Meditate in Minutes Course – watching video lectures, downloading supplementary handbooks and material, and taking quizzes as prompted. 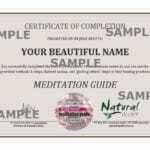 Once you pass your Meditation Guide final exam you’ll receive your certification (PDF) via email! Now it’s time to go back into the Student Platform and start at the first lecture and work your way through the Energy Healing with Hand Mudras Course – watching video lectures, downloading supplementary handbooks and material, and taking quizzes as prompted. Then once again, complete the final review when you’re ready! 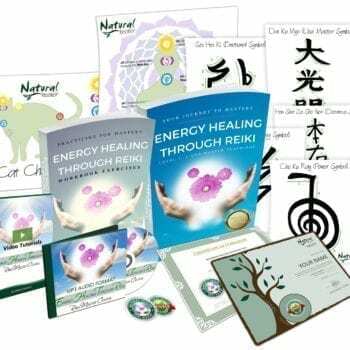 Once you pass your Energy Healing Hand Mudras final exam you’ll receive your certification (PDF) via email! Successfully completing these courses and receiving the certification allows Massage Association of Australia (MAA) members the ability to earn CPE credits towards their membership all while enhancing their clinical skills, business skills and professional knowledge. If you’re ready to bolster your inner peace and use the power within your hands, then click the add to cart button now! And of course, if you have any questions be sure to check out our FAQ and refund policy here; or to reach out and contact us here anytime!